Here you can find out a few interesting snippets of information about Turkey with the kids before printing out Turkish flags (and flag bookmarks, flag colouring page and flag notebooking pages) and exploring its location with our map printables and location worksheets. The Republic of Turkey was established in 1923. Ankara, the country's second largest city after Istanbul, is the capital. Mustafa Kemal Ataturk was the first President and his surname Ataturk denotes his status as 'Father of the Turks's. He founded a secular state to sweep away the Ottoman past. 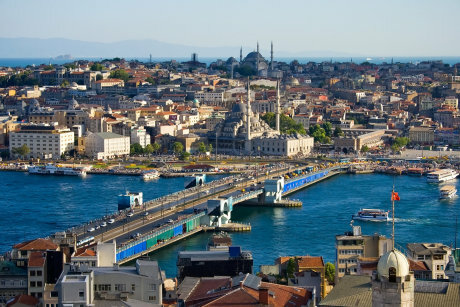 This vast country, with a population of 73 million, sits in Asia but has a foothold across the Bosphorus in Europe. This gives it a fascinating mix of cultures from the coastal Aegean and Mediterranean in the south and east (popular with tourists seeking sun and beaches) to the traditional and more orthodox centre and north. 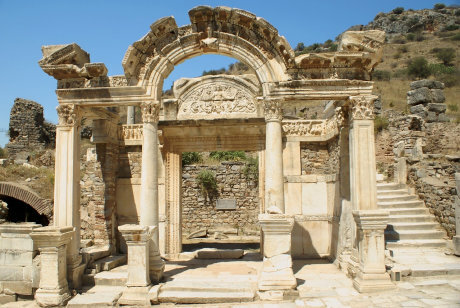 The region is an ancient centre of civilisation dating to the earliest settlement in Anatolia. Rich archaeological remains cover the country from periods of Hittite, Persian, Greek, Roman, Byzantine and Ottoman rule. Most Turks are Muslims despite the secular state, and are proud of their heritage and hospitality. Turkish food is a wonderful mix of styles which use the fresh ingredients in each region. Vegetable dishes are often served as part of a "meze" selection to start a meal. Football is the national sport, with Galatasaray the most successful club. Basketball is also widely played. The Kirpinarl oiled wrestling tournament dates back to 1346! Istanbul, home to the famous Church of Hagia Sophia and the Topkapi Palace, dates back to 700 BCE. Originally named Byzantium after a founding captain Byzas, it was then renamed Constantinople after the Roman Emperor who made the city the capital of the Roman Empire.